The 5 inch/54-calibre (Mk 45) lightweight gun is a modern naval artillery gun mount consisting of a 5 inch (127 mm) L54 Mark 19 gun on the Mark 45 mount. 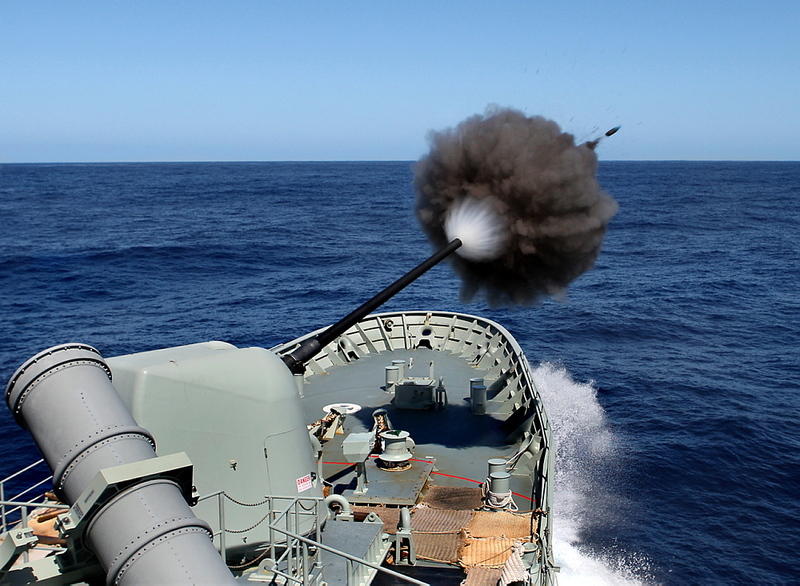 It is designed to be used for Naval Gunfire Support and against surface targets. The gun mount features an automatic loader with a capacity of 20 rounds. These can be fired under full automatic control taking a little over a minute to exhaust those rounds at maximum fire rate. For sustained use, the gun mount would be occupied (below deck) by a three man crew (gun captain, panel operator, and ammunition loader) to keep the gun supplied with ammunition. An advanced version, the Mk 45 mod 4 lightweight gun, uses a longer barrel (62 calibre in length versus 54) for more complete propellant combustion, higher velocity and greater utility as a land attack weapon.